MyMemories Blog: Speed Scrappin' with Francis! Thank you to CT member Francis for hosting these amazing Speed Scraps! Don't forget to post your finished layouts to the MyMemories Fan's Facebook album as well as in the MyMemories Forum! 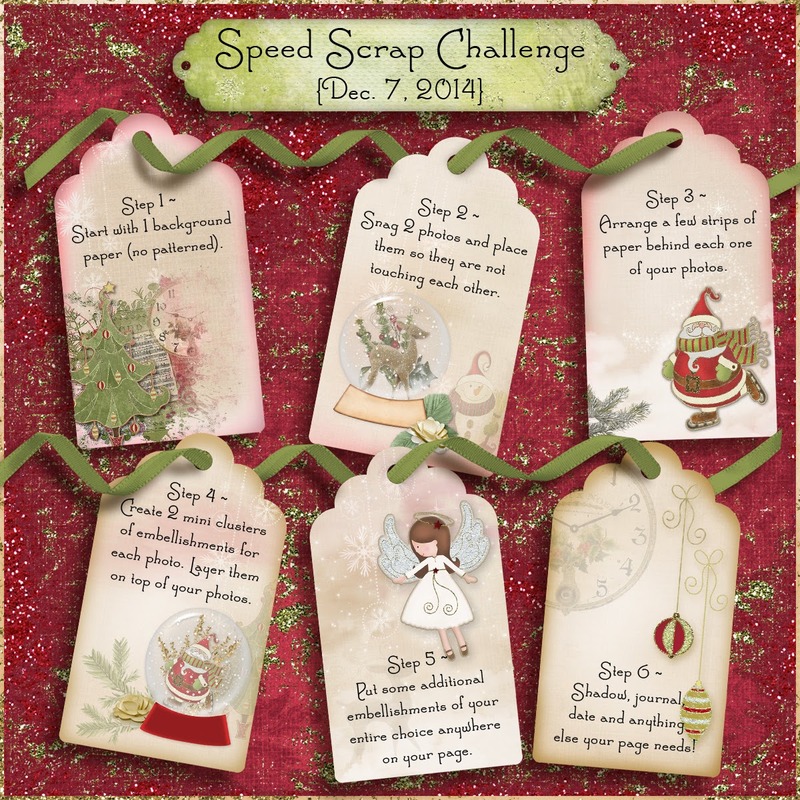 I have used the entire Santa's Eve Collection from Wisteria Moments to make the Instructions Page and my Layout. It's available as individual products: Kit, Clusters Set 1, Clusters Set 2 and Tags. Step 1 ~ Start with 1 background paper (no patterned). Step 2 ~ Snag 2 photos and place them so they are not touching each other. Step 3 ~ Arrange a few strips of paper behind each one of your photos. 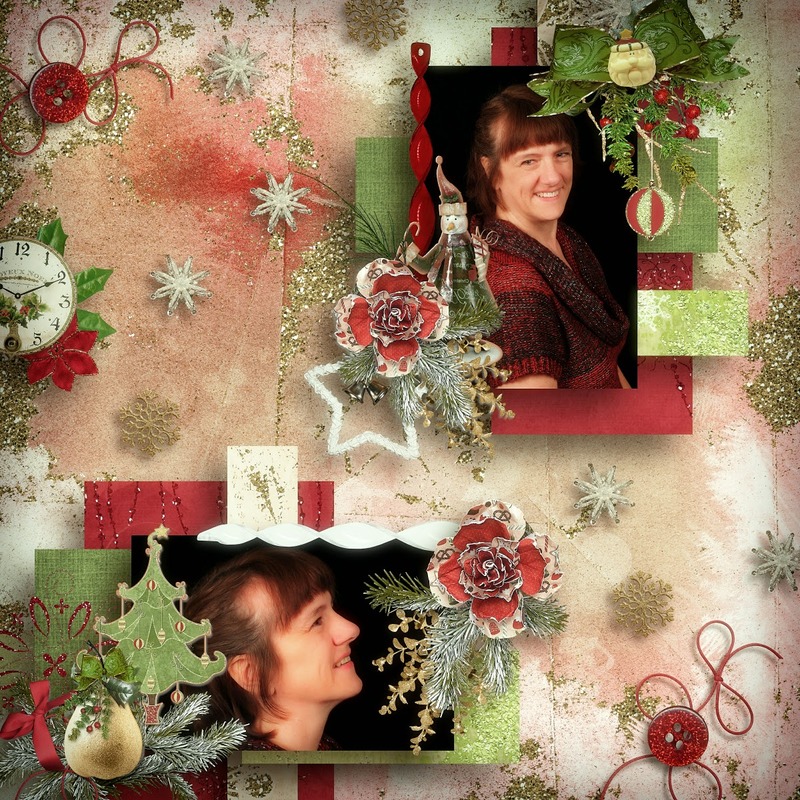 Step 4 ~ Create 2 mini clusters of embellishments for each photo. Layer them on top of your photos. Step 5 ~ Put some additional embellishments of your entire choice anywhere on your page. Step 6 ~ Shadow, journal, date and anything else your page needs!